It is desperation time for the Republican party establishment. Its extremely well financed favorite -- Jeb Bush -- never got anywhere with the voters in the primaries, and has already been forced out of the contest. This should at least cause some second thoughts -- or perhaps first thoughts -- by people who keep repeating that money buys elections. It is one of many theories that seem impervious to evidence. The desperation of the Republican establishment comes from the fact that the two biggest vote-getters in the Republican primaries -- Donald Trump and Ted Cruz -- are people they do not want to be the Republican candidate for President of the United States. The immediate panic is over Donald Trump. His surprising string of victories in the primaries conceals his vulnerability in the general election in November. Most of Trump's primary victories were with less than 50 percent, and even with less than 40 percent. In the general election, less than 50 percent usually means losing. Even more important, while Trump's style and substance may endear him to his followers, both that style and that substance are deeply offensive to many other people. Polls repeatedly show higher negative responses to him than to any other candidate. Trump is not just in danger of losing this year's presidential election, which the Republicans would otherwise have a high probability of winning. He can poison the whole Republican brand, taking Republican members of Congress down with him, along with Republican governors and other state and local officials. Stopping Trump is obviously a high priority for the Republican establishment, as shown by their biggest gun, Mitt Romney, suddenly coming out swinging against Trump in the media. After Trump's momentum from his primary victories, it will not be easy to stop him at this point. But the strategy chosen suggests that establishment Republicans have more in mind than just stopping Trump, even if that is job one. 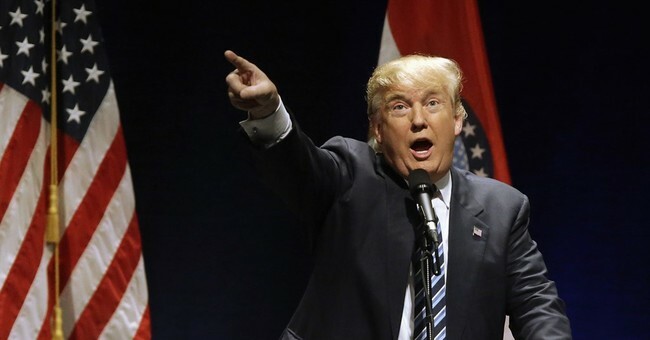 One of the secrets of Donald Trump's primary victories has been that the majority vote against him has been split among the various other candidates, making him repeatedly a "winner" with a third of the vote or so, but seldom 50 percent. The most obvious way to stop Trump, if that was the sole objective, would be for the other candidates to drop out of the race, leaving it a Trump versus Cruz contest. But the Republican establishment has chosen the opposite strategy, wanting all the candidates to stay in the race. That way, if Senator Rubio can win his home state of Florida and Governor Kasich can win his home state of Ohio, that can deny Trump two important, winner-take-all states. This may keep him from reaching the number of delegates required to win the Republican nomination. At that point, it becomes anybody's game at the convention. If the only objective is to stop Trump, this approach seems less likely to achieve that objective than instead consolidating the non-Trump votes behind one candidate. In a number of the states that Trump won, the combined votes for Cruz and Rubio would have been enough to defeat him. Now that Rubio is being badly beaten almost everywhere, and is substantially behind Trump in the polls for his own home state of Florida, the most obvious person to have the best chance of beating Trump one-on-one is Ted Cruz, especially after his primary victories over the past weekend. The Republican establishment is not about to go down that road, even if that would increase their chances of stopping Trump from becoming the Republican nominee. This is because they don't want Cruz to become the Republican candidate either. Senator Cruz has been fighting against the Republican establishment for years before Trump decided to become a candidate. Nor does he have Trump's new-found "flexibility." But, whatever his merits or demerits, Ted Cruz is not the Republican establishment's idea of the kind of candidate needed to win. Neither was Ronald Reagan. The kinds of candidates the Republican establishment has chosen -- from Romney and McCain in recent times, all the way back to Thomas E. Dewey in 1948 -- have had an almost unbroken record of losing, even to Democrats who were initially unknown (Carter, Clinton) or unpopular (Obama, Truman).